Published on March 5, 2011 in Awards, Calypso/Soca and Carnival. 24 Comments Tags: Calypsoes, Carnival, Competition, Machel Montano, Soca Monarch. 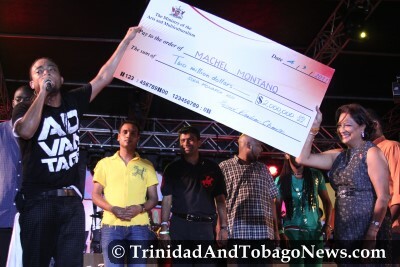 After delivering what many fans consider to be his best performance of the season Machel Montano claimed the two million dollar grand prize in the Power Soca category at the 2011 International Soca Monarch Competition at the Hasley Crawford Stadium last night. Published on February 9, 2009 in Calypso/Soca and Carnival. 0 Comments Tags: bOY Boy Boy, Machel Montano. Roughly 2,000 children and their parents had a good time on Saturday, when Machel Montano presented the musical production, Boy Boy and the Magic Drum, at the Jean Pierre Complex in Mucurapo.